You know, I heard the bells on Christmas Day and all their old familiar carol play, walking down Main Street in Sebastopol. And I was all, “What the hell is up with this peace-loving place anyway? Do these people really believe there can be peace in the world? As if.” ’Cause, you know, hate really does seem to prevail. 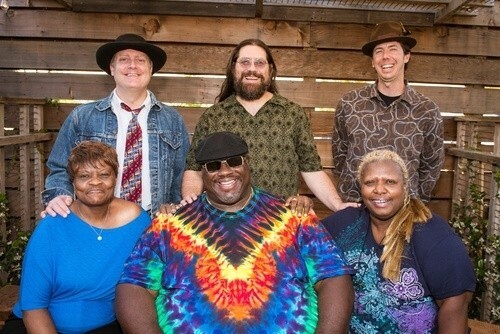 But then pealed the bells more loud and deep—the sound of righteousness and goodwill and legal marijuana, and I was like, “Damn, the wrong shall fail, the right prevail, and Melvin Seals and the JGB shall play on Friday, Dec. 20, at Hopmonk Tavern.” 230 Petaluma Ave., Sebastopol. 9:30pm. $25. 707.829.7300.